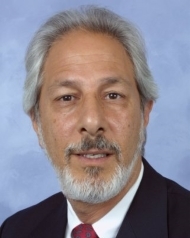 George Koutsakos is a CPA and a recognized professional CFO, consultant and instructor in healthcare finance. For nearly 35 years, Mr. Koutsakos has focused on crafting successful financial strategies to meet the needs and resources of healthcare institutions. Mr. Koutsakos experience has mainly concentrated on serving as a CFO for not-for-profit, for profit and district hospitals and other healthcare delivery systems. He has overseen all aspects of managed care, reengineering revenue cycles, business plan development, strategic financial planning, feasibility studies and debt financing. As a consultant, he has directed IT conversions for various healthcare delivery systems including patient accounting and scheduling, cost accounting and decision support and managed care management systems. Following his strong interest in mentoring, teaching and financial accounting, Mr. Koutsakos has delivered presentations on healthcare financial issues to community groups and at professional conferences, served as an instructor for a CPA firm’s continuing education program, and conducted a lecture series on “Budgeting and Strategic Financial Planning for Not-For-Profit Organizations” for California State University at Fullerton. Currently, Mr. Koutsakos also volunteers for SCORE providing free financial advice for startup businesses. Mr. Koutsakos has also served as a healthcare financial analyst for Gerson Lehrman Group’s Council of Analysts, being rated a scholar analyst in the top 20% of their participating consultants. He also has authored articles published in both HFMA and CAHAM magazines on a wide range of healthcare financial topics. As a scholar analyst at Gerson Lehrman, he analyzed 10K’s, 10Q’s and audited financial statements of publicly traded companies in the healthcare industry for Wall Street investment houses. Established financial infrastructures that help track managed care financial transactions, calculated I.B.N.R. reserves and adjudication protocols. Negotiated managed care contracts that significantly improved the financial performance of client healthcare organizations. In addition, he authored an article on the use of Charitable Remainder Trusts as a source of capital to access/fund managed care capitated lives. Prepared financial feasibility studies that culminated in the development of clinical programs like CVS/Cardiac Cath. labs, NICU, exempt Psych and Rehab programs, Radiation therapy units, a new patient tower housing over 150 patient beds and a new school of nursing and research facility, as well as numerous start up companies. Reengineered revenue cycles of various healthcare organizations that resulted in the reduction of the day’s o/s in accounts receivable. Published articles in nationally recognized magazines about Hospital Registration, Contractual Indices, Charitable Remainder Trusts and Inpatient Service Acuities. Mr. Koutsakos has a BBA in Accounting from the City University of New York Baruch College. He also is a Certified Public Accountant in the State of New York, inactive.